Really good value, especially as tickets are around £9 each at my local. So at £5 each it's a winner for me. There's a couple of exclusions, so check the lists below, just in case - Should be live by morning, so will keep an eye out! Valid for all ODEON locations, excluding: BFI IMAX, The Lounge at Whiteleys, all Luxe cinemas. Tickets subject to availability, normal age restrictions and all other relevant standard terms including ODEON's general admission terms. You will be issued with 5 Groupon vouchers, each Groupon voucher is valid for 1 cinema ticket. Limit 1 purchase per person. 3. Excludes SICARIO 2: SOLDADO and TAG until 5 July inclusive. 4. Excluded for the whole promotional period: Jurassic World Fallen Kingdom, Kaala, Race 3, 7 Din Mohabbat In, Sanju, The First Purge. No booking required. Voucher can be redeemed at the ODEON box office, ODEON retail counter or online at odeon.co.uk/. Present Groupon on arrival. Voucher is for personal use only, must be presented at the time of purchase on the day of a performance chosen. One voucher can be exchanged for one ticket only. No reimbursement for previously purchased tickets allowed. Not valid for advance ticket purchases. Not valid on family tickets. Not valid on IMAX, iSense, Gallery, Luxe screens, premier seats, D-box seats, club seats, all other premium-priced seats. 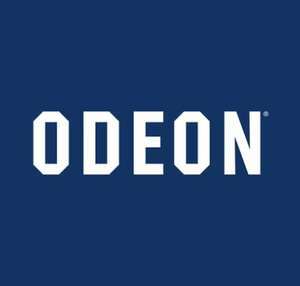 Not valid on Bargain Mondays, ODEON Newbies, ODEON Kids, ODEON Event Cinema, ODEON Screen Unseen, ODEON Silver Cinema, premieres, special events and screenings, events not open to the public. Not valid for items paid for with ODEON Première Club points; points earned at the discounted price paid. Not valid for purchase of 3D glasses, gift cards, food, drink, all other ODEON goods and services. Cannot be used with any other offer or promotion, including Meerkat Movies, Tesco Clubcard and The Times+. Cannot be used with an ODEON Limitless card. You don't see anyone wearing these nowadays. My old dad used to wear one; he thought it made him look like Noel Coward. Wasn't this £20 last time around? You don't see anyone wearing these nowadays. My old dad used to wear one; …You don't see anyone wearing these nowadays. My old dad used to wear one; he thought it made him look like Noel Coward. So you can't use against Jurassic World new one at all? My Odeon charges £13.95 a ticket, get them via a work perk system for £6 so will probably skip this deal as Jurassic World is excluded. Before Vue dropped their prices this was a great deal, if Odeon is your local then still a good deal. Loving the new Vue prices though! Is that why you got a new dad? Thanks for the heads up. Saves us nearly £60 on a trip so appreciate it! Hot from me! They did not honour the last lot. Forget Odeon. Yes. I bought 5 for £20 a couple of months back. They also did 2 for £10. Still better than paying full price but why the increase? Greed. Requires you to go to the counter and offer the code hoping they will accept it.Last time mine got refused and there are that many restrictions on them anyway its a gamble if you can actually find a film to view. The offering they had last year enabled the code to be entered on the Odeon website which was so much less hassle. Is it? Been there twice and it's been 7.99. Not everywhere. Blackburn's Vue still charge about £14 each. My local odeon is £4 per ticket if you book inside, £4.75 if you book online with the fee. Plus you can use meerkat movies. VUE cinemas 4.99 and watch any film you like at any time. Premium seat only 2 pounds more. Seriously... what are Odeon thinking. 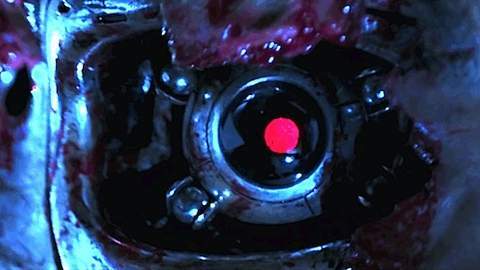 Plus Groupon will be taking a cut. And 5 tickets? Because every group is 5 people. Or two people twice? Oh and see 5 in one month or it expires. I prefer 4.99 in my pocket for any time I want a film or a pint for that matter. It is nuts how they've gotten away with charging £12 a ticket for so long I would be happy to pay bout 6.50 for a cinema ticket so most vues have done well to reduce the prices to under a fiver....maybe to cheap? Rubbish, all the good upcoming movies are excluded. £5 a ticket makes the price reasonable, add a drink and popcorn for £1 each would be profitable and would see their sales rocket. It is nuts how they've gotten away with charging £12 a ticket for so long …It is nuts how they've gotten away with charging £12 a ticket for so long I would be happy to pay bout 6.50 for a cinema ticket so most vues have done well to reduce the prices to under a fiver....maybe to cheap? Maybe too cheap indeed. In Romford where I frequently frequent, Premiere Cinema charge £4 and Vue £3.99/4.99 and its now just full of noisy kids and peasants. Maybe thats just Romford. I wouldnt mind them being a smidge higher if it keeps the riff raff out. Still when I have been in central london cinemas I do find it curious how often there are no more than half a dozen bums on seats. Surely that is a sure sign theyre priced too high? They should use the Easyjet model and sell them cheap early and raise prices as they start hitting full capacity. Can't find where excluded movies are listed? Good price considering my local charges £10-£15 but what's the point when so many films are excluded?! Good price considering my local charges £10-£15 but what's the point when s …Good price considering my local charges £10-£15 but what's the point when so many films are excluded?! Expires 11th July! Bit of a liberty from Odeon really.